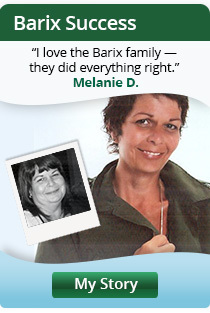 For 20 years, Barix Clinix has been America’s leader in state of the art weight loss surgery. And because we want you to be as confident in our program as we are, we encourage you to freely ask any questions you may have. Below are the answers to some of the questions we get asked most frequently. If you have other questions, we’re eager to answer them. Call 1-800-282-0066 for a personal, confidential consultation. Why should I choose Barix Clinics for my weight loss surgery? Barix Clinics is a uniquely customer- focused facility. Our professionals are trained to understand your personal challenges, and they truly care about your individual needs and concerns as a bariatric patient. Your Barix Clinics team will be there for you before, during, and well beyond the actual medical procedure – supporting you, encouraging you, and helping you achieve the best possible success. As for the quality of the surgery itself, Barix Clinics is unmatched in expertise and experience. So you can approach your decision with confidence and peace of mind. In fact, our complication rates in the field of bariatric surgery rank among the lowest. To learn more and determine which surgery might be right for you, schedule a consultation to discuss your personal needs with your surgeon. How do I know if I'm a candidate for weight loss surgery? Of course, that would ultimately be determined through a personal consultation with a qualified surgeon at Barix Clinics. However, there are some basic standards that can help give you an idea of your situation. As a general rule, you should be at least 100 pounds overweight or have a body mass index (BMI) of 40 or over to be a candidate. You may also be a candidate if you have a BMI of 35 or over, coupled with at least one medical problem associated with obesity. This would include diabetes, sleep apnea or hypertension. Does having HIV exclude me from having bariatric surgery? It is the policy of the Hospital not to discriminate against a prospective patient based on a physical or mental disability of that individual where such conduct would violate the ADA or state law. In particular, the Hospital will not will not deny service to a person with HIV or AIDS absent a determination by that person’s surgeon or other treating physician that bariatric surgery or other medical service would not be medically-appropriate based on current medical knowledge or could not be safely provided at the Hospital given the Hospital’s treatment capabilities. That determination shall be made solely by the surgeon or other treating physician, exercising his or her independent medical judgment, based upon an individualized assessment of the person’s medical condition, including pre-operative physical examinations and other medical consults. If a person with HIV or AIDS is admitted to the Hospital, Hospital employees and clinical staff are to treat that person with the same respect and afford him or her the same high quality service as is accorded all other persons being treated at the Hospital. Will I receive diet help? Yes. Lasting weight loss will call for adjustments in your diet, and we’ll guide you through them. Your nutritionist (provided by Barix Clinics at your pre-admission testing) will explain the post-operative diet in detail. 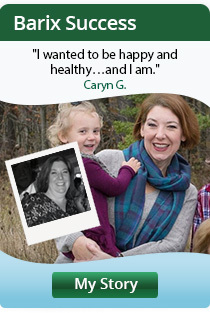 You will learn everything about meeting your nutritional needs and adjusting your eating habits for your new life. You will also receive a personal copy of the Barix Clinics Guide to Good Health, a resource detailing the diet plan with lots of helpful recipes. For more helpful weight loss resources you can visit the Barix Connection website (http://barixclinicsstore.com). On this website you will find our monthly newsletter, an abundance of recipes, and encouraging community support. It’s all part of the Barix Clinics comprehensive patient-focused program. Recovery varies depending upon your individual health, and the surgery you choose. With the lap band procedure, patients have left the hospital within a day. Laparoscopic gastric bypass or gastric sleeve patients will have a 1-3 day hospital stay. Depending on the type of work you do, you could return to your job anywhere from 1-6 weeks. If I'm interested in weight loss surgery, what is my first step? First, congratulate yourself for taking charge of your new life. Then call 1-800-282-0066 to speak with a patient service representative to determine if weight loss surgery is the next step for you. On average, patients at Barix Clinics lose 60% of their excess body weight. However, not everyone can expect the same results. The amount of weight you lose as a Barix Clinics patient depends upon a variety of factors, including: your pre-surgery weight, ability to follow the post-surgery nutritional program, and activity level. Our Barix Clinics insurance specialists have helped thousands of people get approved by their health insurance providers. Many insurers recognize the long-term benefits of our program, and routinely approve coverage. Others are only now becoming aware, and may require more effort in the approval process. In either case we are here to help you appeal to your insurance provider, as well as suggest other workable solutions to making your weight-loss goals a reality. Can weight loss surgery improve my health? Yes. Weight loss surgery can eliminate or improve most obesity-related medical complications. These can include: diabetes, hypertension, high cholesterol, sleep apnea, muscle pain, acid reflux, osteoarthritis, and joint pain. On top of that, Barix Clinics patients consistently report improvements in their overall quality of life.